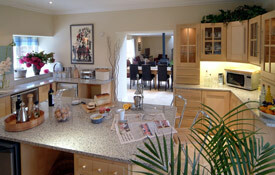 Mains of Taymouth Cottages provide a selection of luxury holiday cottages in Kenmore, Perthshire. Various sizes with saunas and hot tubs. Accept dogs at additional charge or horses by prior arrangement. To go back to Scotland pet friendly accommodation click here. Mains of Taymouth Cottages offer deluxe 5* self catering holiday cottages in Kenmore, Highland Perthshire - "the heart of Scotland". 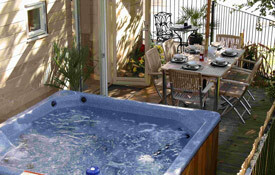 Relax and unwind - cottages benefit from having hot tubs and saunas. Golf course and riding stables on site along with bar & brasserie, deli and gift shop. Various sizes sleeping 2 - 10 guests. Dogs welcome at additional charge. Horses by prior notice. Mains of Taymouth Cottages is a selection of award winning 5-star self-catering holiday cottages located in Kenmore, Highland Perthshire. Accommodation on offer includes stunning steading conversions and architecturally designed mews houses, many with hot tubs and saunas and all furnished and equipped to the highest standard. 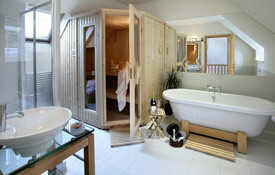 If you're looking for something special - these luxury cottages are definitely worth considering! The location is 2nd to none with a brasserie and bar, delicatessen and gift shop just down the lane, the river and Loch Tay a stone’s throw away and on our estate we also have our own Kenmore Golf Course and Taymouth Riding Stables. The conservation village of Kenmore is a few minutes’ walk with its safe, sandy beach and boating centre. We are surrounded by superb scenery and lovely walks, from a short stroll by the river to scaling many nearby Munros. One dog welcome per property. Horses welcome by prior notice. Click on the following links to quickly find information about this pet friendly cottage. Not found what you're looking for? Check our other cottage links. 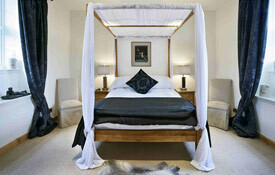 Copyright © 2013 TS Properties - Pet Friendly Cottages UK & Ireland. Design by Tara Scott .